The most popular synthetic calcium phosphate ceramic for bone repair application is HA which has a chemical formula of Ca10(PO4)6(OH)2. HA bonds to bone and is osteoconductive. Its bone bonding mechanism has been attributed to cellular activity at the implant surface leading to partial dissolution of Ca and P ions. These ions combined with other ions from body fluids form HCA microcrystals which bond to the host bone . Sintered HA (sHA) is clinically used to coat metal alloys to improve osseointegration between the bone and the implant and to remove the need for applying bone cements . If HA is to be subjected to thermal processing, the Ca/P ratio gains significant importance; a slight imbalance in the stoichiometry of the material may lead to the formation of phases such as β -tricalcium phosphate, tetracalcium phosphate or calcium oxide which will adversely affect the biological responses of the material . Another well-known calcium phosphate is tricalcium phosphate (TCP) with the formula Ca3(PO4)2. It is biodegradable and is present in four polymorphs, the most common being TCP-β and TCP- β. To adjust the rate of resorption of calcium phosphate with that of tissue regrowth, the use of mixtures of HA and TCP has been suggested . Electrodeposition techniques have been extensively used to produce inorganic composite coatings containing calcium phosphate ceramics [5–7]. This is due to the low cost, tuneable deposition properties and low temperature processing this method provides. Poner en marcha una nueva celda de electro-deposición con control térmico para el potenciostato. Caracterizar de los recubrimientos utilizando diversas técnicas: SEM/EDX, AFM, FTIR, TGA, DSC, Contact angle, XRD, OCP, EIS, PC. Adecuado nivel de inglés (mínimo B1). No llevar más de tres curso durante el I SEM 2020. Preferiblemente (pero no indispensable) tener conocimientos de técnicas de carectizacipon. Capacidad de trabajo independiente, pensamiento analítico y motivación. Las actividades serán desarrolladas en la ECIM así como en colaboración con el Laboratorio Nacional de Nanotecnología (LANOTEC, Pavas). H. Oonishi, L.L. Hench, J. Wilson, F. Sugihara, E. Tsuji, M. Matsuura, et al., Quantitative comparison of bone growth behavior in granules of Bioglass®, A-W glass-ceramic, and hydroxyapatite, J. Biomed. Mater. Res. 51 (2000) 37–46. doi:10.1002/(SICI)1097-4636(200007)51:1<37::AID-JBM6>3.0.CO;2-T.
 K. de Groot, J.G.C. Wolke, J.A. Jansen, Calcium phosphate coatings for medical implants, Proc. Inst. Mech. Eng. Part H J. Eng. Med. . 212 (1998) 137–147. doi:10.1243/0954411981533917. M. a Fanovich, J.M. 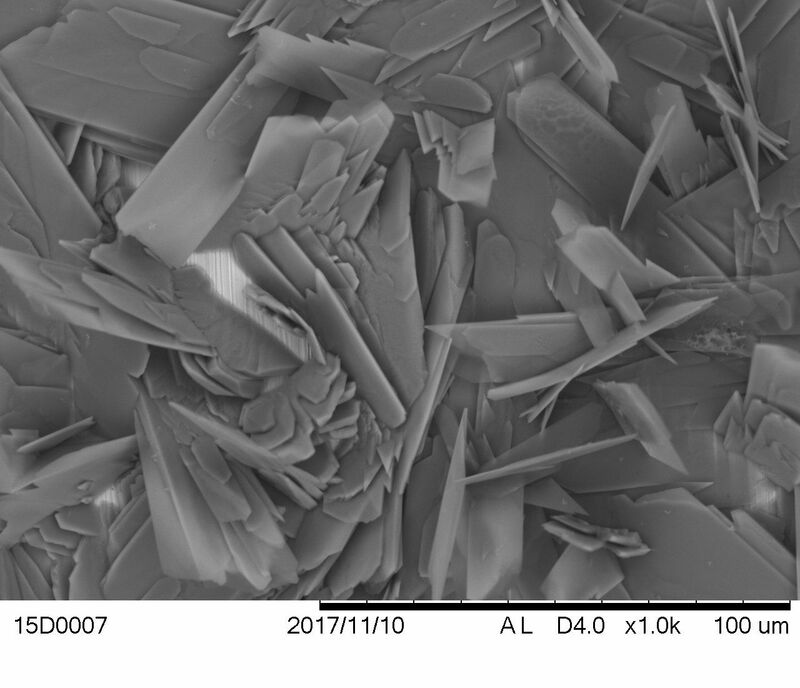 Porto Lopez, Influence of temperature and additives on the microstructure and sintering behaviour of hydroxyapatites with different Ca/P ratios., J. Mater. Sci. Mater. Med. 9 (1998) 53–60. http://www.ncbi.nlm.nih.gov/pubmed/15348702. G. Daculsi, O. Laboux, R. Le Geros, Outcome and perspectives in bioactive coatings: What’s new, what’s coming, ITBM-RBM. 23 (2002) 317–325. doi:10.1016/S1297-9562(02)90000-8. R. Chakraborty, V.S. Seesala, S. Sengupta, S. Dhara, P. Saha, K. Das, Comparison of Osteoconduction , cytocompatibility and corrosion protection performance of hydroxyapatite-calcium hydrogen phosphate composite coating synthesized in-situ through pulsed electro-deposition with varying amount of phase and crystallinity, Surfaces and Interfaces. 10 (2018) 1–10. doi:10.1016/j.surfin.2017.11.002. R. Chakraborty, S. Sengupta, P. Saha, K. Das, S. Das, Synthesis of calcium hydrogen phosphate and hydroxyapatite coating on SS316 substrate through pulsed electrodeposition, Mater. Sci. Eng. C. 69 (2016) 875–883. doi:10.1016/j.msec.2016.07.044. F. Pishbin, L. Cordero-Arias, S. Cabanas-Polo, A.R. Boccaccini, Bioactive polymer-calcium phosphate composite coatings by electrophoretic deposition (EPD), in: C. Wen (Ed. ), Surf. Coat. Modif. Met. Biomater., 1st ed., Woodhead Publishing Limited, 2015. doi:http://dx.doi.org/10.1016/B978-1-78242-303-4.00012-0.